We have already created a couple of lists about sofas, chairs and settees that we have featured here – we might not have focused on the upholstery on them but this time around we would. The designs of the upholstery on this list is quite large – from floral to stripes; from union jacks to paisley. This collection for today is basically a compilation similar to the plain sofas connected with furniture upholstery – only this time the collection is about printed ones. You will be amazed at how many options there are online and the ones available in home depots or malls – let us go ahead and take a look at the wonderful designs below. The Auteuil Sofa is gorgeous in silhouette and fabrication. 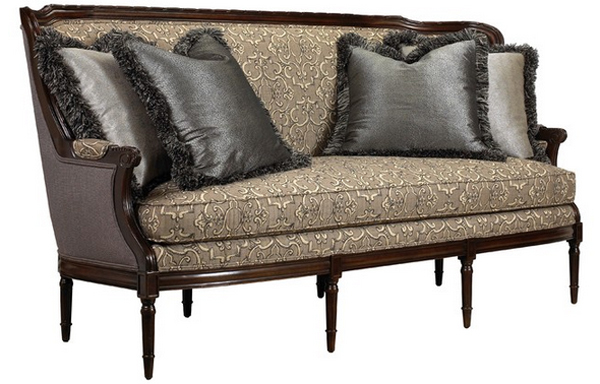 The 19th Century form with dramatic fabrication and classic finish is the epitome of glamour. 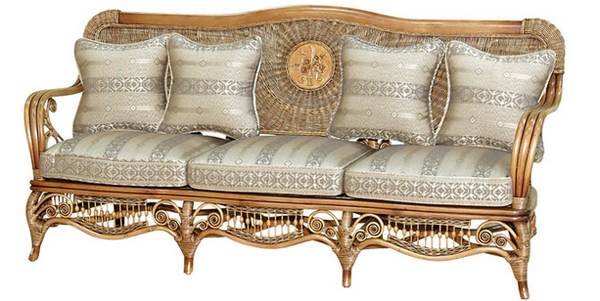 Hand-carved frame and luxury down wrapped cushion. Not my style, but it’s so beautiful! 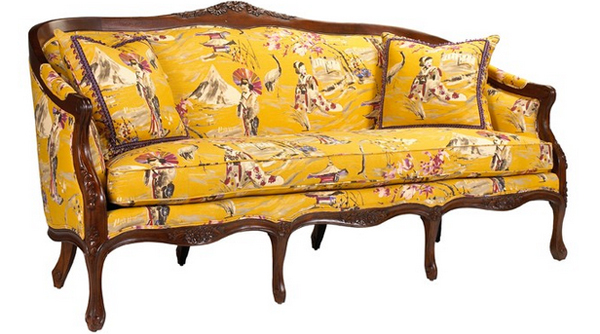 The wonderful Camille sofa creates a playful twist on classic French design. 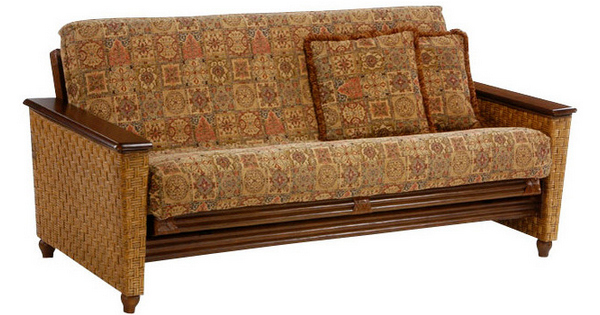 Our elegant, hand-carved frame is made of mahogany and the luxury down wrapped cushion insures complete comfort. 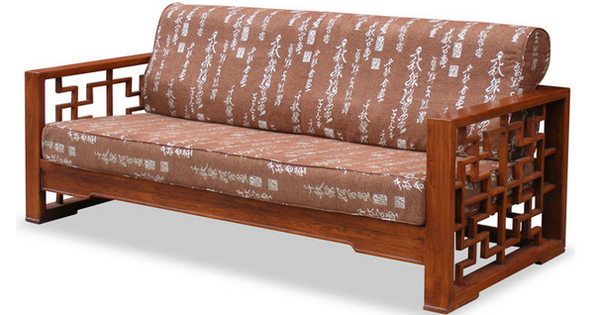 This settee is ideal for the person who believes elegant reclining is a form of personal expression. Crafted in the 1840s, it serves as an excellent example of high American Greek Revival. This mid-century floral sofa may not be your favorite, but the color and the look of this one sure is homey and comfortable. 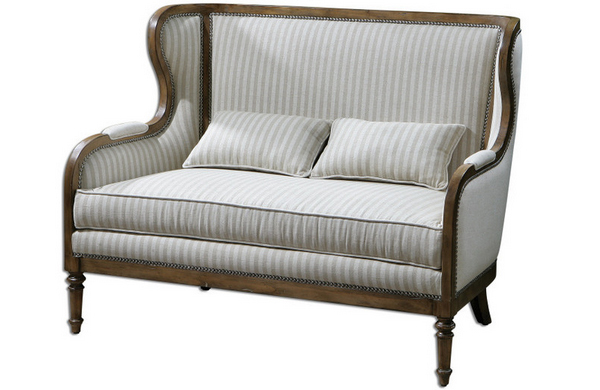 A sofa with all of the personality and chic that is associated with French style. The bench made piece features a kiln-dried hardwood frame, 8-way hand tied construction, and a hand tufted-back, as well as, spring down cushion. In this unique design, the art of Chinese window paneling is integrated with a perfect choice of Elmwood to show its maze-like intricacy. Beautifully inviting, the Deauville Sofa captures a relaxed mood with its plush upholstery. Two cushion back. Two cushion seat. What a unique concept – the carpeted couch! This beauty features a sturdy frame of kiln-dried hardwood and a comfy feather-down seat, upholstered in hand-woven kilim. Stately, subtle and entirely unique, it’s definitely an interesting piece for your decor. A thinking man’s couch. Meant for philosophers and men and woman of thought. A couch with personality that exudes taste yet is comfortable enough lay on and put your feet up to ponder life’s quandaries. Stay patriotic with our Union Jack series. 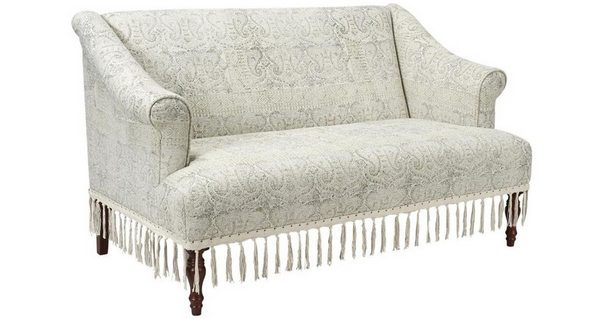 Made from a plush microfiber and tufted for a classic look. Comes in an armchair, loveseat, sofa and ottoman. A part of the Compendium Collection – totally stunning and definitely sophisticated. The Magnolia’s stately elegance will surprise you with its usefulness – lift the arm rest to reveal spacious storage inside. The Mini Conrad Sofa features a sweet little scroll arm it’s a scaled replica of Jaxon Home’s classic Conrad collection – upholstered in a playful print for children. The slipcover is also removable for easy cleaning! Neutral, linen fabric with beige stripe tailoring on the exposed solid pine frame in weathered walnut finish, accented by individually hammered, antique brass nails. Utterly chic, this steel-framed sofa sits sleekly in architectural niches and window nooks, and it’s neat verticals epitomize the power of simple perpendicular lines to convey an unmistakable visual impact in a designed space. 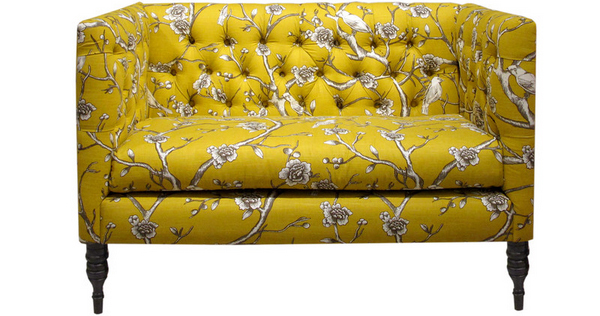 Mara is one seating that reminds us of how awesome it was to have floral or printed sofas at home. It pretty much resembles something we usually see in our Grandparents’ homes. 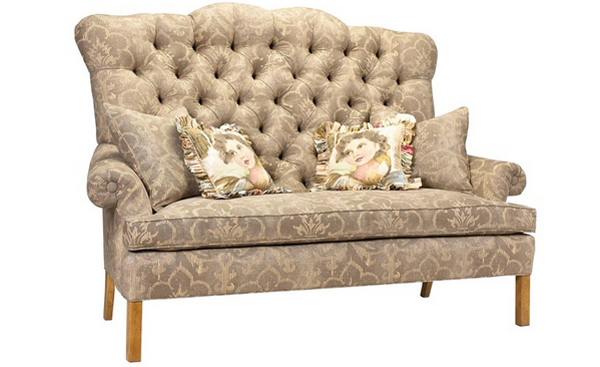 Thomas sofas has Shelton bisque fabric on back and seat. 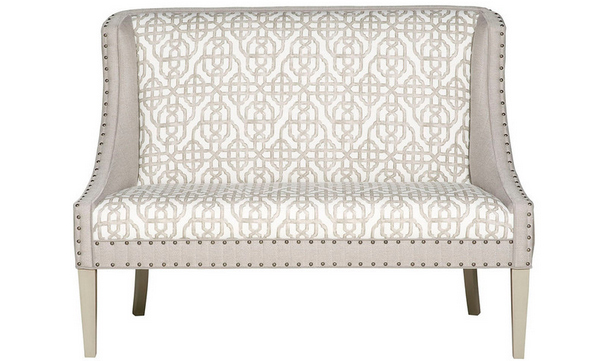 This tufted settee is a lot like your best friend – adorable, smart and completely unique. 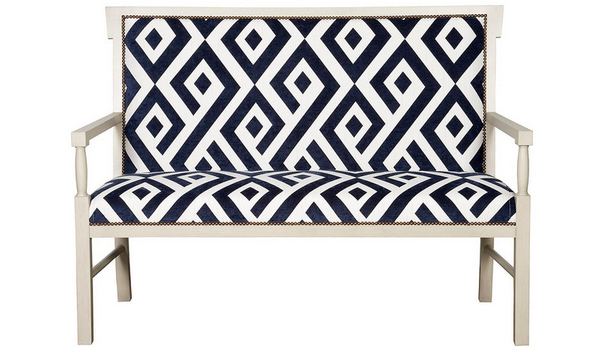 Make this sweet seat part of your furniture family for a major hit of sassy style. The paisley prints on this one is not so visible with this white and grey print – but I guess the best part of this one is the fringe on the ends. Those are indeed stunning chairs to add to your homes! Choosing what to have at home is a matter of a couple of things, but for one thing – you can always buy the chair and design around it – simple as that! 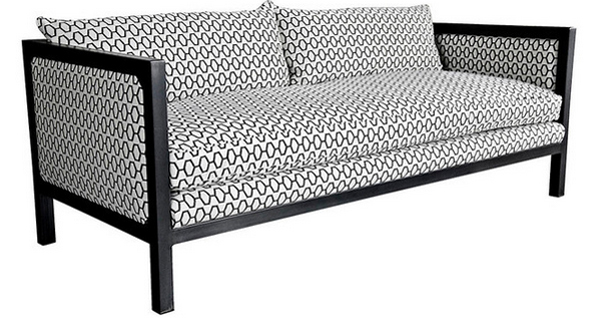 If you liked this list, we know that you’d love the other furniture upholstery too! More to come in Home Design Lover!